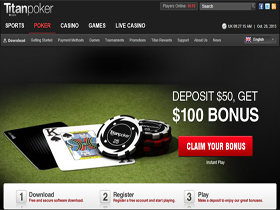 Titan Poker is part of the iPoker network and has a great international feel to it. Games are quite loose and include Texas Hold’em, Omaha Hi/Lo, Omaha Hi, 7 Card Stud Hi and 5 Card Stud, six max and heads up tables are also available. Titan Poker also offer their players many tournaments, satellites and freerolls containing excellent value. There are also plenty big ticket packages available to live events around the world. Titan Poker offer a wide selection of banking methods for players to choose from which include Visa, MasterCard, Neteller, ClickandBuy and Skrill just to name a few. Titan Poker have an excellent 24/7 telephone support with a number of local numbers and an email support. The efficient and professional hosts will answer almost any question or query correctly and courteously. Titan Poker was established in 2005 and operates from Kahnawake in Canada. 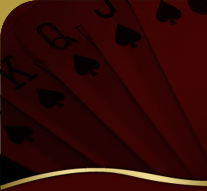 Titan Poker offer all new players a sign up bonus of $2,000 up to 200% match. Titan Poker have expanded their VIP program which is now the easiest and most rewarding by means of Titan Points.